With the new 'It' film coming out, it seemed fitting to talk about the film's director Andy Muschietti, his rise to fame and the oddity of him being a replacement. Prior to achieving mainstream fame, André 'Andy' Muschietti was a commercial director. But his career gained momentum after his short film 'Mama' was made into a feature length production. His take on horror movies has certainly attracted Hollywood's attention, which is probably why the following events took place. Before the success of True Detective Season 1, Cary Fukunaga signed on to helm a new adaptation of the Stephen King novel 'It'. However, Fukunaga backed out after creative differences in May 2015 after working on the script for 3 years. A few weeks after Fukunaga's departure, Andy Muschietti signed on and made the film with a script from Gary Dauberman, though Fukunaga is still credited for his contribution. Based on the latest reviews, it all seems to have worked out in the end. But this isn't the only time Muschietti was brought in to save the day. 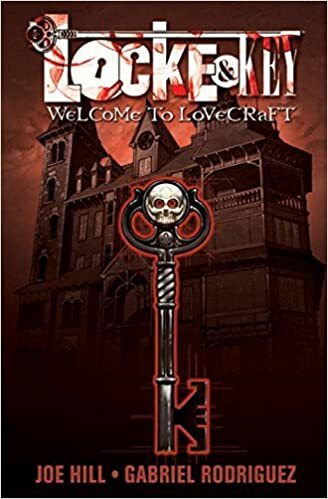 Again this year, Hulu announced a pilot for an adaptation of the comic book 'Locke & Key' written by the spawn of Stephen King, Joe Hill. Director Scott Derrickson was brought on after helming 'Doctor Strange' for Marvel Studios. But Derrickson had to leave the project since he also signed on to another pilot, the TNT drama 'Snowpiercer', based on the 2013 film starring Chris Evans. Muschietti joined soon after, and along with him came 2 of the kids from the new 'It' film. Luckily for Andy, his next film isn't a hand me down as Publishers Weekly announced this week that he had signed on to helm 'Dracul', a story about a young Bram Stoker. Hopefully we will see much more from him in the coming years.